If you need to stop using your paid plan for a while, you can pause your subscription's renewal at the bottom of the Subscription page. You can pause your subscription for 1, 2 or 3 months: the pause will start at the end of your current billing period. During this period, you'll have a Free plan and won't be charged. At the end of the pausing period, your subscription will be automatically renewed, with a 30% discount applied on the first payment. 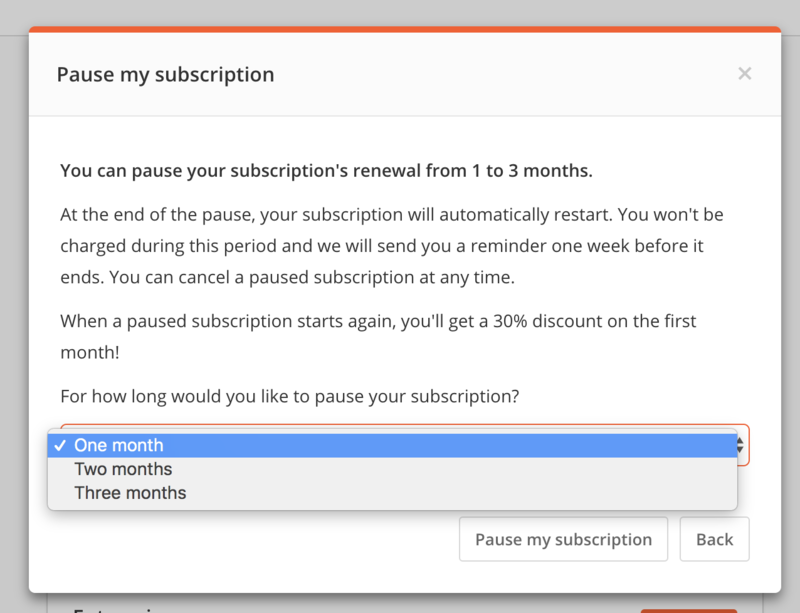 You will receive an email with a reminder 1 week before the subscription's renewal: you can also cancel the pause at any time in the Subscription page.